Businessman Charles Forte - later Sir Charles and then Baron Forte of Ripley - was born Carmine Forte in the hamlet of Mortale in the Frosinone province of southern Lazio on this day in 1908. 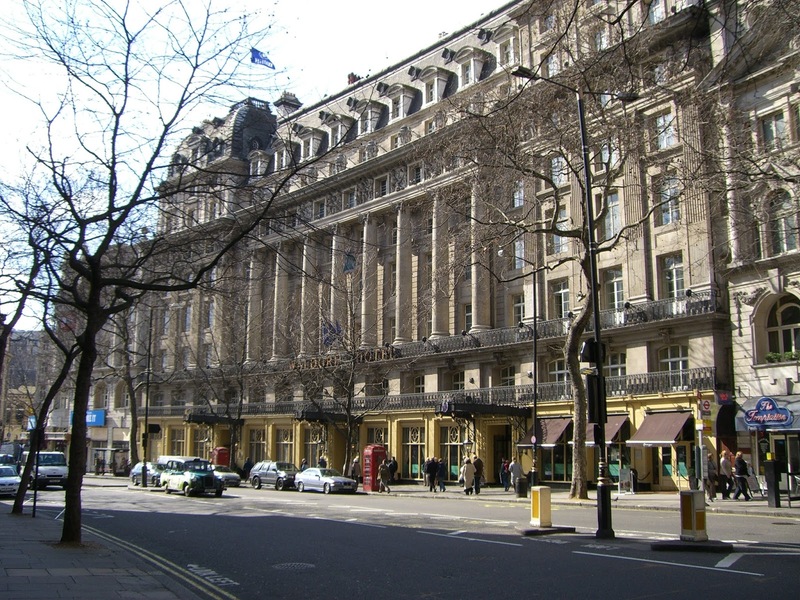 Forte was most famous for his hotels empire, which once numbered more than 800 properties ranging from Travelodge motels to the high-end luxury of the Grosvenor House in London and the George V in Paris. Starting with a single milk bar in London, opened in 1935, he grew a business that became so vast that, when it changed hands 61 years later, it was valued at £3.9 billion. Charles Forte was brought up largely in Scotland, where his family emigrated in 1911 after his father, Rocco, decided to follow the lead of his brother by abandoning farming in his impoverished homeland to try his luck in the catering business abroad. Rocco ran a café and ice cream parlour in Alloa, a town in central Scotland about an hour's drive north-east of Glasgow and a similar distance to the north-west of Edinburgh. Charles went to school in Alloa and nearby Dumfries before completing his education at the Mamiani High School in Rome. When he returned, the family had relocated to Weston-super-Mare in Somerset. He cut his catering teeth managing The Venetian Lounge, a café in Brighton owned by a cousin, before setting up a first business of his own, the Meadow Milk Bar, in Upper Regent Street, in central London, in 1935. Forte broke new ground by serving meals as well as the usual coffee bar fare,. Ambitious to expand, his fledgling company Strand Milk Bars had seven outlets by the outbreak of the Second World War, which presented Forte with a problem when Italy joined in on the side of Germany. Although he had applied to become a British citizen, the process had not been completed and he found himself arrested and taken to an internment camp in the Isle of Man as a foreign national. Happily, he was released after only three months and was co-opted on to a Ministry of Food committee to advise on rationing. His cafés remained open throughout the War, during which he married Irene Chierico, an English girl with Venetian roots who would be his partner for life. They had a son, Rocco, in 1945, and went on to have six children, all girls apart from the first. 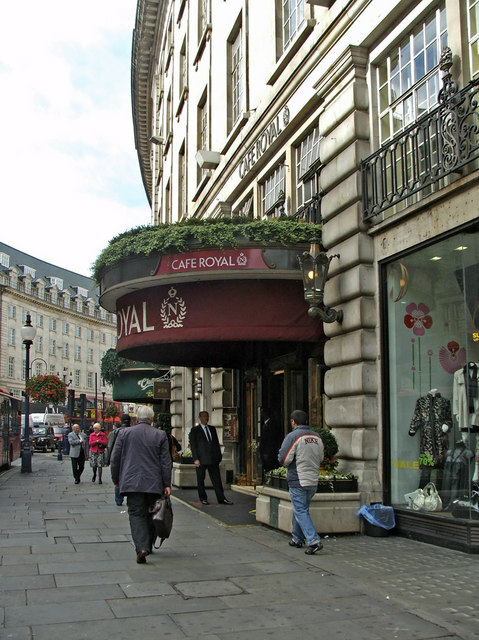 Adding more properties to his café-restaurant chain, including the Rainbow Corner, a former US servicemen's centre in Shaftesbury Avenue, and the Criterion in Piccadilly Circus, Forte became so successful he was able to buy two adjoining houses in Hampstead in the early 1950s, which enabled his extended family to join him in London. 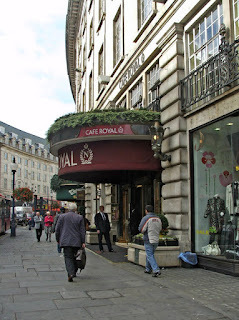 The business was now operating as Forte Holdings Ltd and seemed to be moving in an upmarket direction when he added the prestigious Café Royal and Quaglino's to his portfolio. But he saw more opportunities in diversifying his interests, acquiring the rights to open the first catering facility at Heathrow Airport and giving Britain its first motorway service station at Newport Pagnall on the M1 in 1959. In the meantime, he had moved into the luxury hotel market by buying the historic Waldorf Hotel in London's Aldwych, the first of more than 800 hotels his business would own over the next 30 years, including the exclusive Hôtel George V, just off the Champs Élysees in Paris. It was the merger of Forte Holdings with the Trust Houses Group in 1970 that turned Forte's business empire into a multi-million pound concern, creating the Trust House Forte brand, which owned the Little Chef and Happy Eater roadside restaurants, the Crest, Forte Grand, Travelodge and Posthouse hotels and numerous other retail and leisure concerns. Forte had a self-deprecating sense of humour, joking that he should be called "the shortest Knight of the year" when he became Sir Charles Forte in 1970, making reference to his diminutive stature - he was only 5ft 4ins tall. Yet he was sensitive about how British society viewed him. 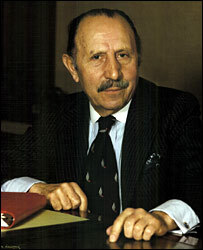 Sir Hugh Wontner, who held firm against Forte's long battle to buy the Savoy Hotel in the 1980s, publicly cast doubt on his suitability to run such an institution and the City never stopped referring to him as "the milk bar king." The restaurant guru Egon Ronay lambasted him for the quality of the food at his motorway service areas. However, the string of high-end hotels his Forte Group ran under the Forte Grand and Exclusive Hotels by Forte brands meant he could play host to the richest and best-connected clients and he was delighted to accept a peerage offered to him in 1982 by prime minister Margaret Thatcher, whom he idolised. With a house in Belgravia, London and a mansion at Ripley in Surrey, Forte retired in 1993 and was dismayed when his son, Rocco, whom he placed in control of his company, was unable to resist a £3.9 billion hostile takeover bid from the media and leisure company Granada, which effectively meant his life's work had been lost. However, he lived to see Rocco build up a new luxury hotel business with the help of his sister Olga - Charles and Irene's second child - who is known as Olga Polizzi, having been married to the late Count Alessandro Polizzi. She is now married to the author William Shawcross. Charles Forte would periodically return to his roots in Mortale, which was subsequently renamed Monforte in his family's honour, and restored the house where his family once lived. He died in 2007 at his Belgravia home, aged 98, and was laid to rest in West Hampstead Cemetery. 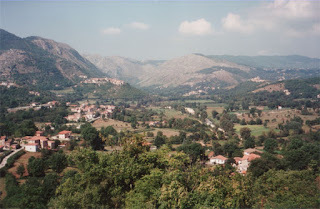 Casalattico, the municipality of which Monforte is part, is home to an Irish festival each summer, celebrating the significant number of local families that moved to Ireland in the late 19th and early 20th centuries. It is thought that up to 8,000 Irish-Italians have ancestors from Casalattico and nearby Picinisco. Frosinone is part of the area known as Ciociaria, which took its name from the primitive footwear - cioce - once favoured by local people, which consisted of a large leather sole and long straps that were tied around the legs up to the knee. It first appeared on maps at the time of the Papal States. Today it stages numerous food fairs, entertainment and music events and celebrates many rural, religious and country traditions.